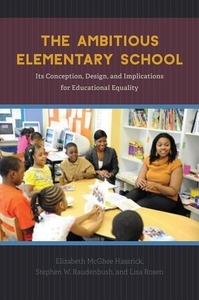 The challenge of overcoming educational inequality in the United States can sometimes appear overwhelming, and great controversy exists as to whether or not elementary schools are up to the task, whether they can ameliorate existing social inequalities and initiate opportunities for economic and civic flourishing for all children. This book shows what can happen when you rethink schools from the ground up with precisely these goals in mind, approaching educational inequality and its entrenched causes head on, student by student. 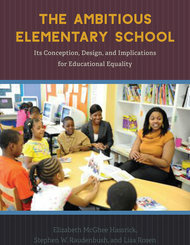 Drawing on an in-depth study of real schools on the South Side of Chicago, Elizabeth McGhee Hassrick, Stephen W. Raudenbush, and Lisa Rosen argue that effectively meeting the challenge of educational inequality requires a complete reorganization of institutional structures as well as wholly new norms, values, and practices that are animated by a relentless commitment to student learning. They examine a model that pulls teachers out of their isolated classrooms and places them into collaborative environments where they can share their curricula, teaching methods, and assessments of student progress with a school-based network of peers, parents, and other professionals. Within this structure, teachers, school leaders, social workers, and parents collaborate to ensure that every child receives instruction tailored to his or her developing skills. Cooperating schools share new tools for assessment and instruction and become sites for the training of new teachers. Parents become respected partners, and expert practitioners work with researchers to evaluate their work and refine their models for educational organization and practice. The authors show not only what such a model looks like but the dramatic results it produces for student learning and achievement. The result is a fresh, deeply informed, and remarkably clear portrait of school reform that directly addresses the real problems of educational inequality. Urban Readers Series: Elizabeth McGhee Hassrick, Stephen W. Raudenbush, and Lisa Rosen - "The Ambitious Elementary School"